I could eat probably more burgers then one should eat(not in one sitting but overall)but the wife wanted burgers tonight. 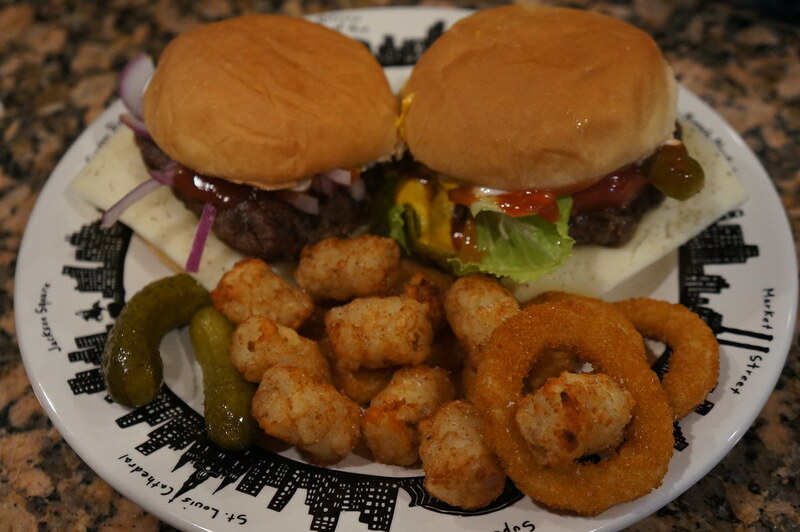 One was dressed with Havarti cheese, lettuce and tomatoes, and the other red onions, Havarti cheese, mustard mayo and catsup. And LSU won 22 to 21 in the last two seconds!